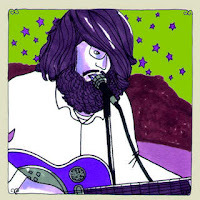 Revered and innovative exclusive recording site Daytrotter has posted a powerful session by Cast Spells, the nom-de-tune of Maps & Atlases frontman Dave Davison. The 3-song set, recorded at the Daytrotter studios is available for free download and streaming HERE. Davison's heartfelt and charismatic performances are unparalleled -- check out this Glass Room session video of "Potted Plant" (a different version also performed on the Daytrotter session.) The Daytrotter recording is a perfect distillation of what some have dubbed the Cast Spells sound as "Peter Gabriel leading The Shins." Check out the MP3 for Cast Spells' "All Brass" from the recent split EP with Good Old War HERE. 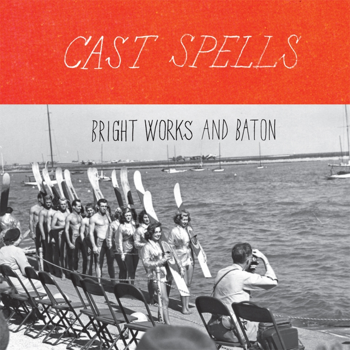 Check out Cast Spells' 2009 debut, Bright Works and Baton HERE. "Davison tends to think about things in a manner of how they affect the balance of everything - of what it means to be in this life, in that life and how any actions might send ripples through the common cartilage, rocking everything just slightly or devastatingly off its base. He takes us into the woozy escapes of a mind that wanders here and there, but ultimately finds itself stuck in the stampede of such crushing proximity to so many others and a reliance on needing everything to fit together harmoniously. A song like "Potted Plant" is a great example of the forces in collision, of a man of nomadic nature still trying to fit into some kind of domesticity that will keep him on a sunny windowsill. Then again, there's also that streaming feeling that running away from it all and returning to the backwoods isn't out of the question. "Davison sends us into a world that feels as if it was originally given to us in such a different state, but there's an innocent belief that it can be rearranged to be a likeness of its previous self once again with a little doing. It feels as if we've added all of the extra coats of paint, built it into a disgrace that could be much simpler, could be much prettier. We slide a hand figuratively into his as we listen to Cast Spells and launch ourselves out the door and down steep grassy hills at reckless speeds, knowing that it's likely we'll spill without time to get our hands out in front of us to brace the fall, but we'll spring back up, comment with a chuckle about the deep green stain on our knees and elbows and continue to follow him - recklessly." Davison recently returned from touring in Europe with yet another of his bands, Hey Tonal and is currently set to release the debut LP by Maps & Atlases on Barsuk Records.The songwriter also heads back into the studio soon to record the full length for Cast Spells on Sargent House. 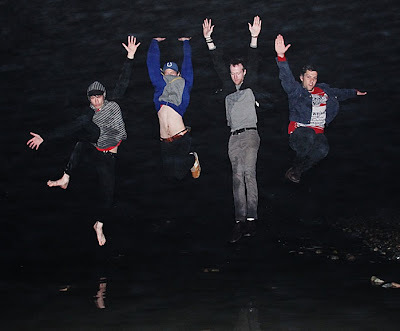 Brooklyn guitar-anthem optimists Fang Island -- who describe their sound as "everyone high-fiving everyone" -- have been receiving a wealth of high-fives right back. Esteemed website Pitchfork showed ample praise for Fang Island's Sargent House debut album this week, making it a Best New Music pick. Likewise, fan buzz on Twitter and other social networks has been voluminous. Album sales topped charts on both iTunes (Top Alternative Albums) and Amazon (#1 Mover & Shaker Album) this week. Just days after the quintet's newly purchased van was stolen on the eve of their current U.S. tour, Brooklyn police safely recovered the vehicle. On tour right now, Fang Island supports The Chinese Stars on dates surrounding both bands' SXSW performances. Then, Fang Island again hit the road supporting Red Sparowes in April. Please see complete tour dates below. Back in December, Pitchfork debuted the quirky video for "Daisy" directed by Carlos Charlie Perez (Li'l Wayne, Vampire Weekend). Watch it HERE. A new clip, also directed by Perez, for the song "Life Coach" followed in March. Pitchfork showcases the clip HERE. The phenomenally productive artist Omar Rodriguez Lopez makes his North American directorial debut in April when his feature film, The Sentimental Engine Slayer premieres at the prestigious Tribeca Film Festival. The film, which was written and directed by Rodriguez Lopez, will have four screenings during the festival. Please see complete time and venue details below. While The Sentimental Engine Slayer is not his first venture as a director -- he also created two unreleased films, 2001’s A Manual Dexterity and 2003’s Letters from Dystopia -- it is his first feature released to the public. Made on a relatively small budget using money borrowed from a close friend and Rodriguez Lopez's parents, the cast and crew worked diligently on location in El Paso, TX to bring the project to fruition. 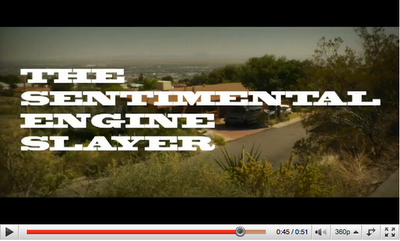 The Sentimental Engine Slayer tells the tale of the overdue coming of age of a 20-something misfit named Barlam. Set against the backdrop of drug-addled suburban El Paso sometime in the not-too-distant future, Barlam's awkward transition from boy to man is as much the story of struggling to find one's essence in a world of stereotypes as it is an indictment of the distorted reality of family life in the disengaged 21st Century. For a more detailed plot synopsis, please see the film's IMDB page. 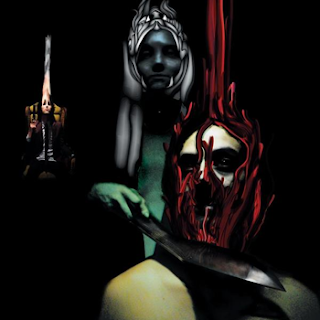 In February 2010, The Sentimental Engine Slayer premiered to critical acclaim at the International Film Festival Rotterdam, an institution renowned for its support of emerging and decidedly non-commercial work. The relatively mainstream Tribeca Film Festival, in contrast, will prove something of a litmus test for Rodriguez Lopez's vision and its palatability to more standard-fare audiences. Omar Rodriguez Lopez is an intensely prolific Grammy-winning recording artist whose genre-defying, fifteen-year career has resulted in some 35 albums. His seminal and critically acclaimed band, At the Drive-In, redefined popular rock music at the end of the last decade. Since that time, in addition to being both a solo artist and leader/composer/producer of the The Mars Volta, Rodriguez Lopez has produced groundbreaking recordings for the likes of Juliette Lewis and collaborated with Hans Zimmer, John Frusciante, and Erykah Badu, to name a few. In the early years of the new millennium, Rodriguez Lopez began filmmaking, familiarizing himself with the process by way of producing two unreleased films (2001’s A Manual Dexterity and 2003’s Letters from Dystopia) in lieu of any formal training. His third film, The Sentimental Engine Slayer, is the director’s debut feature release. 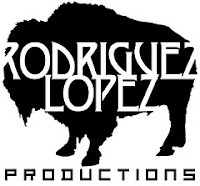 Despite a virtually continuous commitment to the process of recording and touring with his various bands, Rodriguez Lopez has managed to complete two more films since principal production on The Sentimental Engine Slayer wrapped in 2007; El Divino Influjo De Los Secretos (2008) and Boiling Death Request (2009) are both currently in post-production. 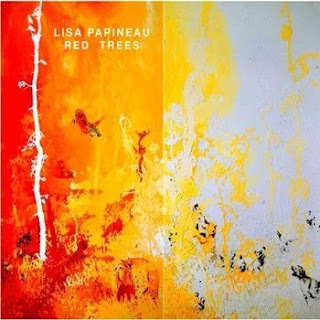 The highly-accomplished singer/composer Lisa Papineau releases her Sargent House debut, Red Trees this spring. The album is the second solo venture from the active collaborator known for her vocal contributions to Air and M83, as well as writing with The Mars Volta bassist Juan Alderete de la Peña in Big Sir. The ever-active Papineau also works with soundtrack composer Tyler Bates, Japanese artist Jun Miyake, The Anubian Lights, Bron Tieman's Crooked Cowboy and countless other projects. Red Trees was recorded with French musicans Matthieu Lesenechal and Johan Guidou, and features guest vocals from singer/songwriters Matthieu Boogaerts and Mark Eitzel of American Music Club. 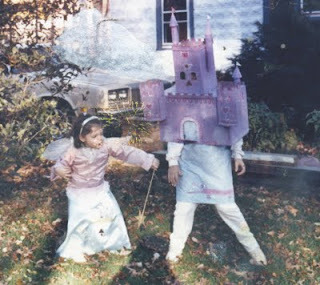 Red Trees will be released May 4th, 2010 on Sargent House. The Mars Volta sibling band Zechs Marquise hits the road once again today, supporting RX Bandits on a lengthy North American tour. 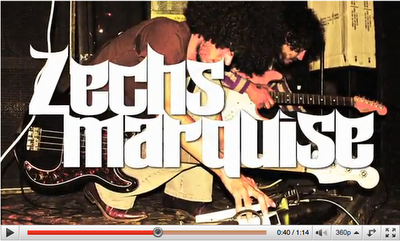 The El Paso quartet featuring Mars Volta multi-instrumentalist Marcel Rodriguez-Lopez and his bassist brother Marfred Rodriguez-Lopez has toured almost incessantly since the August 2009 release of its debut album Our Delicate Stranded Nightmare via the label of the pair's elder hermano Omar's Rodriguez Lopez Productions. See complete tour dates below. In the limited time since its winter 2009 tour, Zechs Marquise has been hard at work recording its followup album in El Paso, TX. The yet-untitled disc is expected out in Fall 2010. Click the links to check out MP3s for "Chase Scene" and "Sirenum Scopuli" from Our Delicate Stranded Nightmare. Zechs Marquise formed in El Paso, Texas during the spring of 2003 when brothers Marfred and Marcel Rodriguez-Lopez came together with childhood friends Matthew Wilkson and Marcos Smith. The group soon named itself after a popular Japanese anime character and hit the studio to record its first album during the late summer months of 2004. 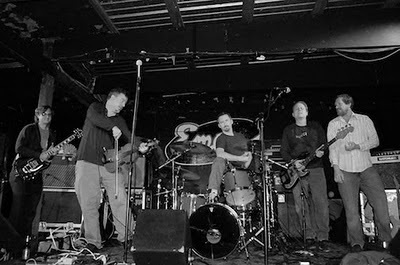 That studio effort was later scrapped and in June 2006 the band instead released 34:26, a live improvised set that showed its great range of talents and influences. By fall of 2006, Zechs was touring the west coast consistently, sharing the stage with such eclectic acts as Daedelus, Busdriver, The Album Leaf, (DJ) Nobody, Daddy Kev, The Gaslamp Killer, and Totimoshi. Zechs Marquise then spent time on the road, auspiciously touring with Free Moral Agents & Blank Blue. In March 2009, the band made its first venture overseas to Europe, opening for the Omar Rodriguez-Lopez Group, in which Marcel -- then performing double duty -- is also a player. During the overseas tour, Our Delicate Stranded Nightmare was released in Europe by RLP/Willie Anderson Recordings on CD as well as the first pressing of the album on vinyl. Since that time, the group toured extensively throughout North America with RX Bandits and Mars Volta's Grammy Award winning keyboardist Ikey Owens' group Free Moral Agents. 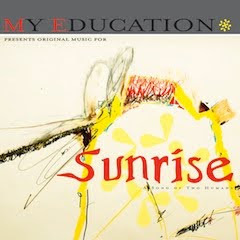 Austin, TX instrumentalists My Education have composed an original score for director F.W. Murnau's 1927 silent film classic, "Sunrise: A Song of Two Humans". Parts of the painstakingly composed soundtrack will be released on CD, LP and digital download this spring via Strange Attractors Audio House. The quintet tours this June in support of the album, fittingly titled Sunrise, with live accompaniment to the film at select venues. Comprised of pieces from the band's original score for Murnau's silent masterpiece, My Education has discovered the perfect forum for which to flex their compositional muscles, achieving ever-transcendent musical heights in the process. This original score was perfected over the last two years through live scoring to the film, performed at sold out shows from coast-to-coast throughout the USA. Just as the music provides new context to the film as a live accompaniment, Sunrise flashes brightly from the speakers, sparking vivid and lush imagery for the listener. Finding parallels to the timeless soundtracks-as-albums Popol Vuh composed for a number of Werner Herzog's films - music with such visual distinction that it went on to become both synonymous with the screen and the band's legacy - Sunrise leaps onto celluloid with confident grace, distinguishing itself as My Education's most diverse and mature release yet.